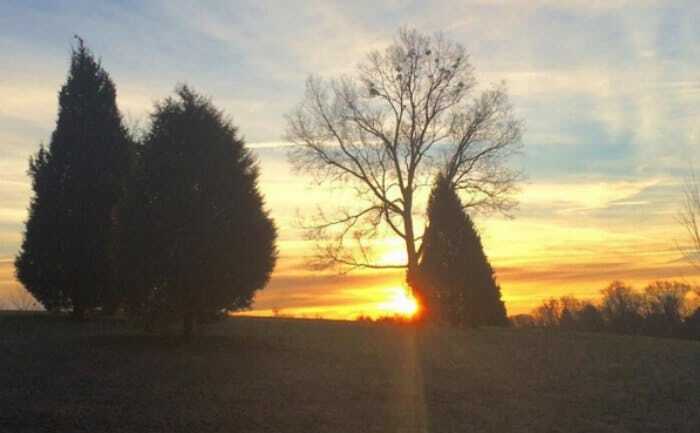 A clean start for your New Year with ePantry. Dear readers, if you want a clean start for your New Year, this one’s for you. The U.S. postal service (and its cohorts FedEx and UPS) made my list of things that worked for me in 2015, because I love not shopping—or at least, not going shopping. I’ve become quick to sign up for services that let me put a small portion of my life on autopilot, keeping me out of the car and out of the stores. 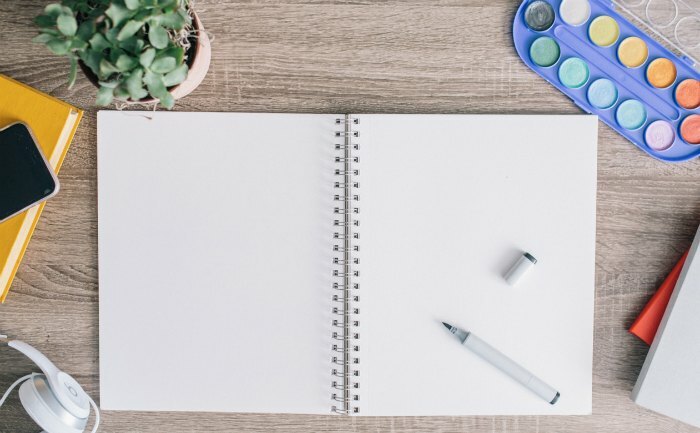 It’s a small, inexpensive way to make my life easier and a little more enjoyable, freeing up more time for what matters. Of these services, ePantry is among my favorites. They ship high quality, environmentally-friendly brands like Mrs. Meyer’s Clean Day, Method, Yes to Carrots, Tom’s of Maine, Seventh Generation, and more straight to your door, at a discounted price. My family’s ordered a monthly box from ePantry for over a year now, and they’ve been an absolute delight to do business with. Since I started using ePantry, the quality of our household cleaners has gone up, our cash outlay for those household goods has gone down, we’ve never run out of shampoo or toilet paper, and I’ve dramatically cut the frequency of my Target runs (which saves even more time and money). I’ve been so impressed at the quality and consistency of their products, the helpfulness of their staff, and by just how darn easy and pleasant the whole process is. That’s why I’m so excited to share a special New Year’s offer ePantry has for MMD readers. 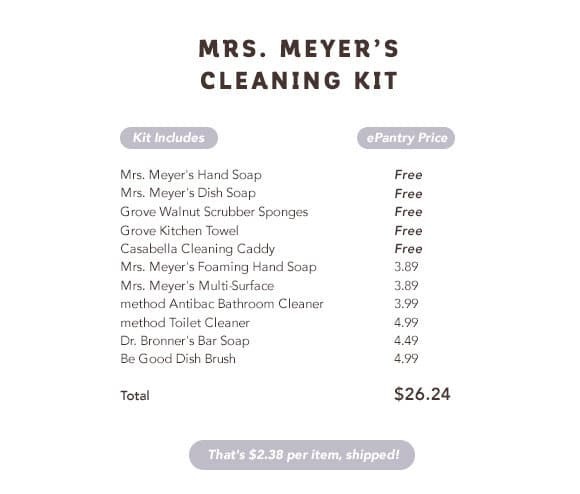 When you sign up for ePantry using this referral link, you’ll get a free Mrs. Meyer’s Cleaning Kit (worth $37.74). 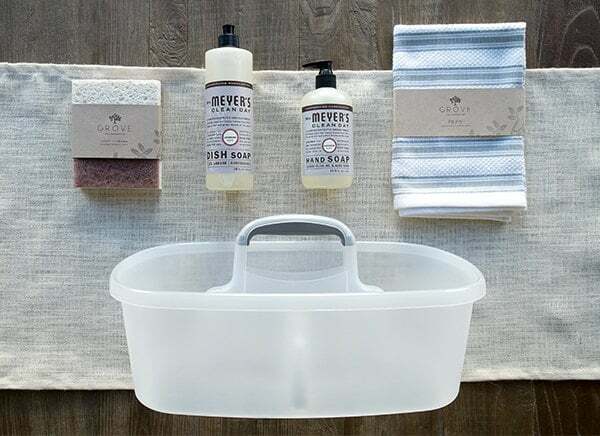 The offer includes a Casabella cleaning caddy, Mrs. Meyer’s dish soap, Mrs. Meyer’s hand soap, Grove Collaborative kitchen towel and Grove Collaborative walnut scrubber sponges. 1. Sign up for ePantry through this link. 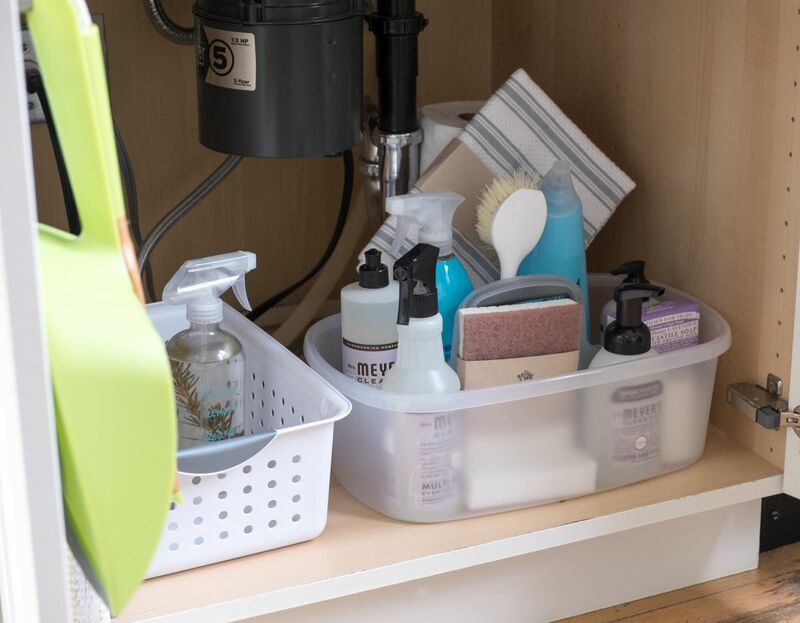 You’ll receive the Mrs. Meyer’s Cleaning Kit free when you sign up. 3. Once you’ve answered the questions, you can finalize the basket of products to suit your needs by adding or removing items. Choose the combination of products and scents you want to receive in your first box. 4. To receive this offer, your order needs to be a minimum of $20. 6. Stick to your New Year’s resolution with free shipping on your second order. To receive free shipping, make sure you select the free 60 day VIP Trial after you check out. 7. Already hooked on ePantry? 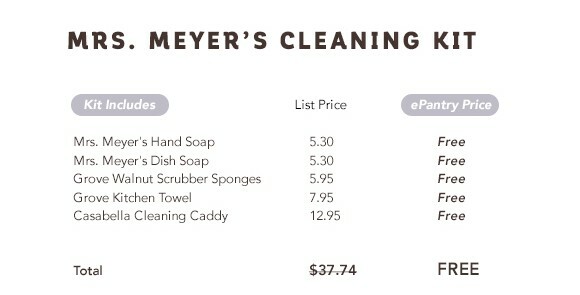 Existing customers click here to get 50% off the Mrs. Meyer’s Cleaning Kit with your next order. Don’t forget this special offer is only available until Friday, January 8 at 9:00 p.m. EST or while supplies last. P.S. Read more about why I love ePantry here. Next:9 books for your New Year’s resolutions. I also tried this service last year, and I’d like to respectfully offer another opinion — it was a PITA to cancel this service. I had to either call or email them, and then wait for a reply. And then one month I got stuff when I thought I had cancelled (probably my fault, but still frustrating). I did not find their website intuitive. I know this service has been popular with a few bloggers I read, so perhaps I’m in the minority, but it didn’t work for me. I will definitely look into this when we’re moved into our own house! It should be available all week. Just added the discounted kit to my next shipment – thanks for the deal for current subscribers! Turns out, the slightly higher priced brands like Mrs Meyers are just enough nicer that I find myself wanting to clean more, which makes it worth every penny. Neat trick epantry, making a box of cleaning products feel like a treat. Thanks so much for this great offer! I just ordered a few things and I’m looking forward to receiving my package with all of the great goodies! In the sake of fairness it should be disclosed that when you subscribe to one of e pantrys offers, they sign you up for automatic replenishment charged to your credit card. Which is annoying and not obviously disclosed. Another option to consider is joint a wholeshare group in your community. I coordinate dad wholeshare group here in Vermont and members order items online and the pick the up at a delivery site once a month. it is basically a buying club and we buy groceries and other things together in bulk that we can split. It has also been a great way to get involved in my community and meet new people. That is a great idea, one I’ve pondered with Costco because of buying in bulk. But… that takes time, which for me is money and fun with my family. This box of goodies might be an alternative to your AMAZING idea though, until I have that extra resource of time. It isn’t really a huge time commitment for members who just fill their carts and order and the pick up. It IS a huge time commitment for me because I coordinate the group and stage deliveries and sort items. As of right now it’s contiguous 48 U.S. states only. Just signed up. Thanks for the offer! I am excited to try some new products.